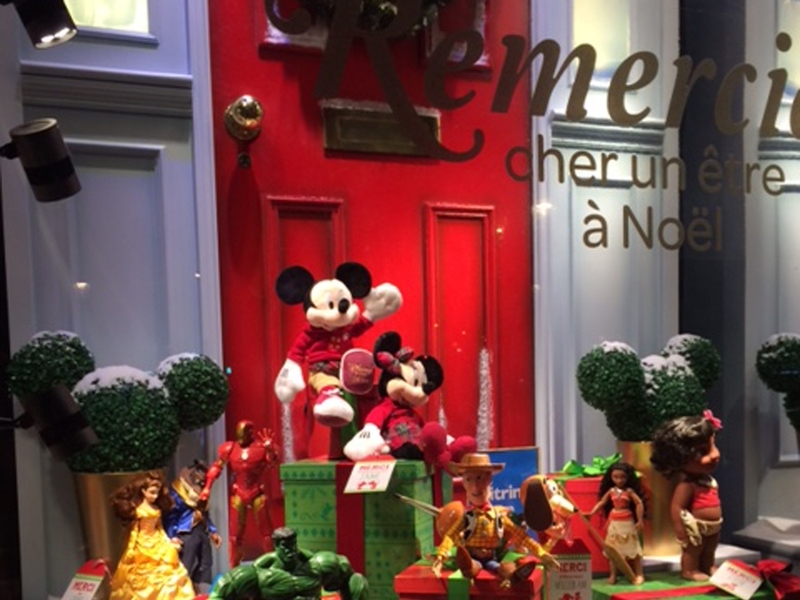 Following the Disney all-store window guide for the festive season, Propability created two premium door schemes for the Paris Champs Elysées and Dublin flag-ship stores. Constructed by bringing various modular elements together, the windows required considerable planning and clever adjustments to ensure everything would fit. The door for the Paris window measured almost four metres high. The two traditional front door entrance schemes were largely made from MDF with special mouldings and panelling. Scenically treated brick-work, dressed with artificial ivy and finished with various subtle glitters enhanced the wintery blue atmosphere wonderfully. Artificial holly and artificial snow together with a Micky Mouse wreath created a wonderful sense of Disney at Christmas. The end result is a traditional scene that reflects the charming character of the festive season and provides a sense of families coming together to enjoy the magical time of year.